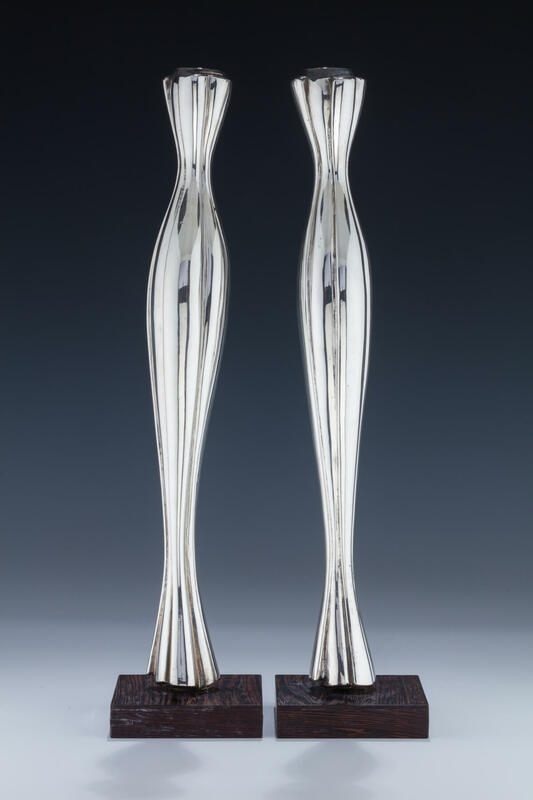 A PAIR OF LARGE STERLING AND MARBLE CANDLESTICKS BY RICHARD FISHMAN. Each on square marble base. With filled silver structure. 16.7” tall.